These days, it seems that everyone is stressed. We all have too much to do and too little time to do it. Times are tough, money is tight, and deadlines are imminent. What happens when you’re stressed? You tend to eat more, sleep less, skip the gym and feel rundown. No wonder so many of us are gaining weight. Additionally, stress is linked to a number of illnesses, such as heart disease, high blood pressure and an increased risk for cancer. A study in the July 2009 issue of the American Journal of Epidemiology studied stress-related work demands, difficulty paying bills, strained family relationships, and depression or anxiety disorders in a nationally representative group of 1,355 men and women for more than nine years. The overall result? Men tend to gain weight when unable to make decisions at work, learn new skills or perform interesting job duties. More types of stress affected women’s waistlines, according to the study. In addition to weight gain associated with financial problems or a difficult job, women also gained weight when dealing with strained family relationships and feeling limited by life’s circumstances. Overall, this study found that people who reported increased stress gained more weight if they already had higher body mass indexes. In other words, if you’re overweight already, you’re even more likely to gain weight when under stress. 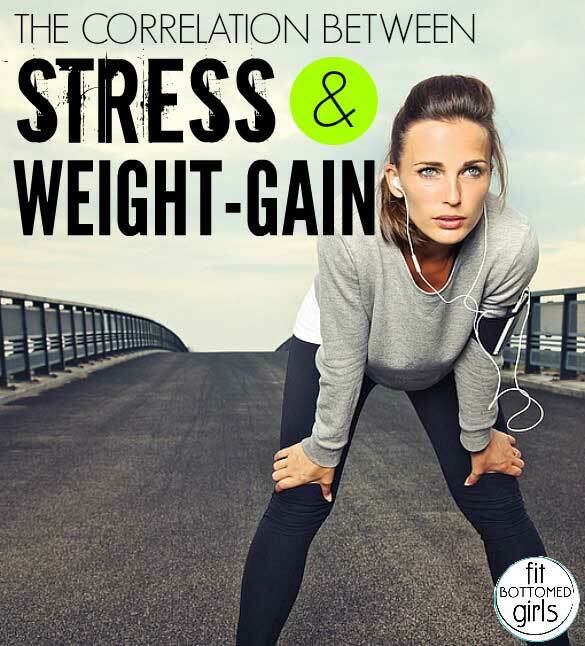 Continue reading to learn how stress can affect your weight and how you can kick undue stress to the curb! While you’re on your way to building a better body through diet and exercise, remember to love the skin you’re in. Weight loss isn’t really weight loss, unleas it’s health weight loss. In order to focus on being healthy, you have to put yourself in a positive mindset for success. Start with some mental reprogramming. If that little voice inside your head keeps pointing out your faults, try recording over those misguided messages with some positive self-talk. Stop fixating on your flaws and instead concentrate on your strengths. By countering negative thoughts with positive ones, you’re actually setting yourself up for success. Building a positive self-image goes hand in hand with building a better body.